Will Bankruptcy Help Me Avoid Foreclosure? When you fall behind on your mortgage payments and your lender is threatening foreclosure, you should contact us as soon as possible to discuss your debt relief options. A personal bankruptcy filing is typically an option you should strongly consider. 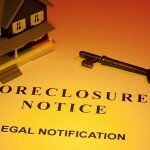 In fact, many Chapter 7 and Chapter 13 cases are filed because homeowners are attempting to avoid a foreclosure action. If you believe foreclosure is in your near future, it is important to confer with us to discuss whether a Chapter 7 or Chapter 13 would be beneficial for you. Each type of case has pros and cons, which we will fully explain to you. A Chapter 7 case is called a liquidation because your non-exempt property can be sold to pay your creditors. However, the reality is that most Chapter 7 debtors do not own very many (if any) non-exempt assets. Although a Chapter 7 filing may not completely halt a foreclosure action, it can buy you more time in your home. Your mortgage lender can file a motion for relief from the automatic stay. 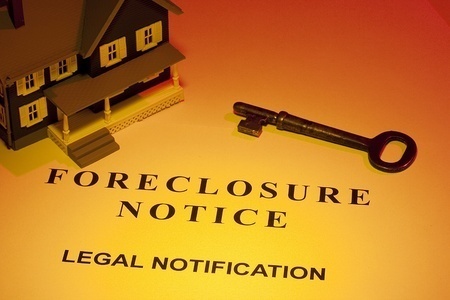 If the judge grants the motion, the lender will be allowed to proceed with foreclosing on your home. However, this process takes time and you can negotiate with your lender. If your lender is allowed to foreclose on your house, it is important to understand that you can discharge the deficiency balance (the amount that you owe after the house has been sold). In a Chapter 13 filing, the debtor is required to submit a Chapter 13 plan of reorganization. The plan outlines how you intend to pay your creditors (including your mortgage lender) and it must be approved by the court. Depending on the amount of debt and your individual finances, the Chapter 13 plan lasts for a period of three to five years. During this time, you can make payments that will get you caught-up on your mortgage payments. Thus, the foreclosure action is halted as long as the debtor is making the Chapter 13 plan payments. The thought of losing your house is frightening and overwhelming, but we can help. Let us help you try to save your home. This entry was posted in Bankruptcy, Chapter 13, Chapter 7 and tagged avoid, case, Chapter 13, Chapter 7, foreclosure on April 3, 2015 by Michael Faro.